Weʼre raising overall £25,300 to take a group of musicians to Israel and Bethlehem to perform in gigs around the region called "Music on the Wind" in June 2018. Our desire is simple. We want to build bridges between communities, and inspire the people who live there to come together through music. We want to invest into this land and in people from all walks of life, races and religions. We believe that music has the power to unite and restore lives. Music has no borders ! The gigs will also be sponsored by the clothing brand, i61 Clothing, an ethical fashion brand that has a heart to use fashion as a tool for good. The money raised will cover all of the expenses of the musicians and the concerts themselves. We will also use some of the money to document (through film and photography) these concerts and share it with all donation partners after the event. At the moment, we anticipate the cost of the trip to be £1,600 per person. This includes flights, modest accommodation (based to two sharing) basic food and travel (bus and driver and a local guide). We are taking 7 musicians, two filmmakers, 1 cameraman, 1 sound engineer and 1 tour host - gigs planner. 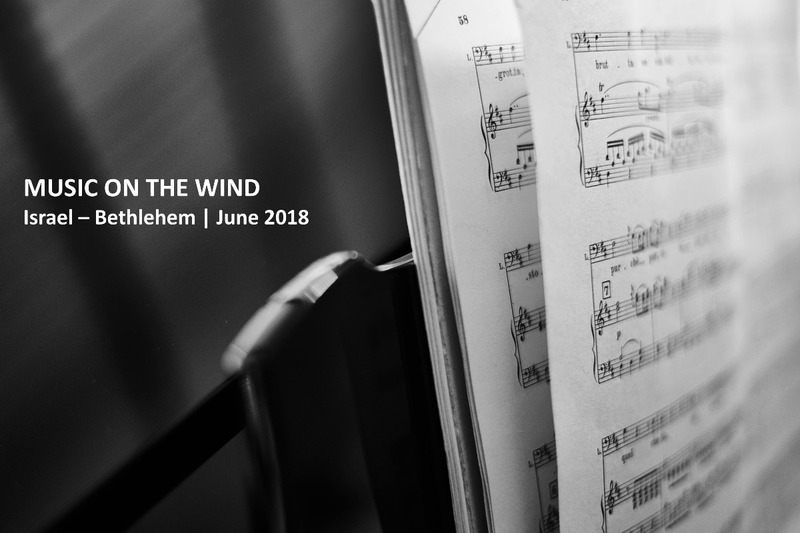 As a donation partner you will receive free access to all of the music, recorded live in Tel Aviv, Bethlehem, Galilee and Jerusalem, and full access to the Music on the Wind film. Our vision is to invest in Palestinians and Israelis through music, and to leave a legacy for the people to come together and reconcile through the arts. We hope you are inspired to come on board with us, by making a donation. Here is our "Love Has No Borders" film, if you would like to know a bit more about our story. We want to leave a lasting legacy of reconciliation and bridge building through live music, hence we are crowdfunding for the 2019 tour.